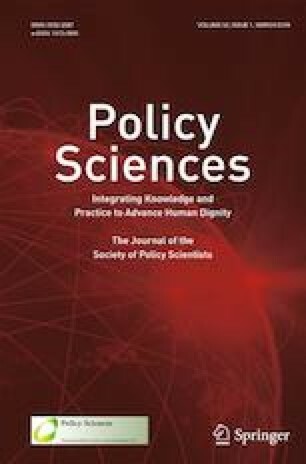 Analysis of policy options is often unavailable or only available from non-governmental research organizations (“think tanks”) that may have explicit or implicit political biases. This paper experimentally examines how voters respond to policy analysis and how the response varies when the analysis is produced by a nonpartisan organization versus a liberal or conservative organization. The key result is that individuals, on average, are responsive to all types of analysis, but most strongly responsive to analysis produced by nonpartisan organizations. Analysis from an ideologically slanted organization is less effective because individuals tend to ignore analysis that is produced by a partisan organization that does not share their own ideology. The results suggest that increasing the amount of information that the public receives based on nonpartisan analysis may increase the diffusion of information on policy features into the public and reduce polarization in public opinion. This section reports the language used in the survey. Each subsection represents a survey page. All information on a survey page was presented simultaneously. Respondents clicked an arrow after completing a page to move to the next page. For survey questions, possible answers are included in brackets. Any boldface that appears below was also used in the survey. No italicized font appeared in the survey. Italics are used below to either indicate language that varied by treatment or to insert comments to clarify survey structure (in which case, the sentence is preceded by “Note:”). This research is conducted by academic researchers. The goal of the research is to enhance understanding of how individuals form their views on public policies. Regardless of your political ideology, this is an important area of research and you are contributing toward to our knowledge as a society by completing this survey. In this survey, you will be provided with some information about public policy and will be asked questions related to your opinions about public policy, as well as some general demographic questions. Carefully read the information presented throughout the survey. You should be able to comfortably complete the survey in 15 min. There are no foreseen risks to your participation in this survey. While it is hard to completely eliminate any possibility of a breach in confidentiality or privacy, no personally identifiable information will be collected in this survey and all data will be stored on password-protected computers. The information that you give in the study will be anonymous (your name will not be recorded and we will not collect detailed geographic information or IP addresses). If you have any questions about the research, you may contact us at econpolicylab@gmail.com. If you have questions regarding your rights as a research subject, please contact the University of Oregon’s Research Compliance Services at researchcompliance@uoregon.edu. You have the right to withdraw from the study at any time without penalty. Because data are anonymous, you may not withdraw after the data are submitted. Payment will not be given for incomplete or unfinished surveys or surveys completed abnormally quickly. How to withdraw from the study: Your participation in this study will not be finalized until you have completed it. You can withdraw at any time by closing the browser window or exiting to a different Web site. You may print or save a copy of this page for your own records. The remainder of the survey consists of information and questions about your preferences in five different areas of public policy. There are also two more general questions at the end of the survey. Please take your time and complete your responses carefully. In the following portions of the survey, you will be presented with information on various policies. Some of this information includes information on the cost-effectiveness of different policy options. Cost-effectiveness is a measure of the expenditures required to achieve a certain outcome. As a general example, consider two options: “A” and “B.” If A is more cost-effective than B, then A can be used to achieve a similar result as B at a lower overall cost. The cost-effectiveness information that is presented in this survey is based on research and analysis conducted by a [liberal (i.e., Democrat-leaning); nonpartisan; conservative (i.e., Republican-leaning) organization]. Note 1: For the “nonpartisan” treatment group, the following was also included at the end of this section “(Nonpartisan organizations are politically neutral, they are not aligned with a political party).” Note 2: This page was omitted from survey for control group. Limiting greenhouse gas (GHG) emissions—and the associated negative effects from climate change—has been a policy goal for many governments. There are a variety of policy options available that could be employed to reduce the amount of GHG emissions. One option is to implement a carbon tax. Because a carbon tax would require firms to pay a fee if they released GHG emissions, it would give firms an incentive to find alternative methods of production that led to lower levels of GHG emissions. Another option is a biofuel standard. Biofuels are alternatives to gasoline or oil that are derived from plants. Powering a vehicle through biofuels typically leads to the release of fewer GHG emissions than powering a vehicle through a conventional fuel such as gasoline or oil. Biofuel standards require a certain fraction (i.e., 20%) of fuel for automobile sources which must come from biofuels. Research conducted by a [liberal (i.e., Democrat-leaning); nonpartisan; conservative (i.e., Republican-leaning) organization] organization indicates that a carbon tax is more cost-effective than a biofuel standard. Note: This paragraph was omitted from survey for control group. Note: This page also included the background information on the two policies. That is, all of the language from the previous page, with the exception of the question at the bottom of the previous page, was also included on this page. Governments often implement programs to increase healthcare coverage, especially for low-income households. There are a variety of policies that can be used to increase access to health care. One option is to provide tax credits to individuals that buy private insurance. These tax credits would cover a significant portion of the costs of healthcare coverage. Another option is to directly provide low-income households with government-provided insurance. Research conducted by a [liberal (i.e., Democrat-leaning); nonpartisan; conservative (i.e., Republican-leaning) organization] organization indicates tax credits are more cost-effective than government-provided insurance. Note: This paragraph was omitted from survey for control group. Providing affordable housing for low-income households has often been considered a public policy priority. There are a variety of policy options available that could be employed to increase the affordability of housing to low-income households. One option is to provide housing vouchers. Households that receive vouchers do not need to pay the full amount of their rent. Instead, they pay the difference between the actual rent and the amount of the voucher. The voucher amount is paid to landlords by the government. Another option is for the government to provide public housing. Public housing is built by the government. Rental prices in public housing are set at a below-market rate in order to keep prices affordable. Research conducted by a [liberal (i.e., Democrat-leaning); nonpartisan; conservative (i.e., Republican-leaning) organization] organization indicates housing vouchers are more cost-effective than public housing. Note: This paragraph was omitted from survey for control group. Increasing the earnings of low-income workers has often been a labor policy objective for many governments. There are a variety of policies that can be used to increase the earnings of low-income workers. One option is the earned income tax credit. The earned income tax credit effectively subsidizes low-income earnings (i.e., for each $1 earned, the government gives the household an additional $0.40 dollars in their tax refund). Another option is a minimum wage. The minimum wage sets the minimum allowable hourly rate that workers are allowed to be paid. Research conducted by a [liberal (i.e.. Democrat-leaning); nonpartisan; conservative (i.e., Republican-leaning) organization] organization indicates the earned income tax credit is more cost-effective than the minimum wage. Note: This paragraph was omitted from survey for control group. Developed countries often provide funding to organizations to implement aid programs to reduce poverty in poor nations. There are a variety of policies that can be used to reduce poverty in poor nations. One option is to provide cash transfers. Cash transfers are direct monetary payments to low-income households. Another option is to use traditional aid programs based on in-kind assistance or supply-side policies. Examples of traditional aid programs include building schools, adult literacy campaigns, deworming programs, and the provision of agricultural technology. Research conducted by a [liberal (i.e., Democrat-leaning); nonpartisan; conservative (i.e., Republican-leaning) organization] organization indicates cash transfers are more cost-effective than traditional aid programs. Note: This paragraph was omitted from survey for control group. Thank you for your participation. Depending on the survey you completed, you may have been presented with information on the cost-effectiveness of the policy options described earlier in this survey. This cost-effectiveness information was non-factual (i.e., neither necessarily correct nor incorrect). It was added to the survey as part of an experimental examination of how individuals respond to different sources of information. Ainsley, J. E. (2017). Exclusive-Trump border ‘wall’ to cost $21.6 billion, take 3.5 years to build: Internal report. Reuters. Retrieved from https://www.reuters.com/article/us-usa-trump-immigration-wall-exclusive-idUSKBN15O2ZN. Accessed 13 Dec 2018. Becker, A. (2017). Republicans in House push for Congressional Budget Office cuts. Reuters. Retrieved from https://www.reuters.com/article/us-usa-congress-cbo/republicans-in-house-push-for-congressional-budget-office-cuts-idUSKBN1A92KN. Accessed 13 Dec 2018. Bender, B. (2013). Many D.C. think tanks now players in partisan wars. Boston Globe. Retrieved from https://www.bostonglobe.com/news/nation/2013/08/10/brain-trust-for-sale-the-growing-footprint-washington-think-tank-industrial-complex/7ZifHfrLPlbz0bSeVOZHdI/story.html. Accessed 13 Dec 2018. Hitlin, P. (2016). Research in the crowdsourcing age: A case study. Pew Research Center. Retrieved from http://www.pewinternet.org/2016/07/11/research-in-the-crowdsourcing-age-a-case-study/. Accessed 13 Dec 2018. Kessler, G. (2016). Trump’s dubious claim that his border wall would cost $8 billion. The Washington Post. Retrieved from https://www.washingtonpost.com/news/fact-checker/wp/2016/02/11/trumps-dubious-claim-that-his-border-wall-would-cost-8-billion. Accessed 13 Dec 2018. Rasmussen Reports. (2016). Voters don’t trust media fact-checking. Rasmussen Reports. Retrieved from http://www.rasmussenreports.com/public_content/politics/general_politics/september_2016/voters_don_t_trust_media_fact_checking. Shepherd, A. C. (2011). What to think about think tanks? NPR Ombudsman web site. Posted 12 April 2011. Retrieved March 24, 2017 from www.npr.org/sections/ombudsman/2011/04/22/134229266/what-to-think-about-think-tanks. Accessed 13 Dec 2018. Wasson, E. (2017). Fine print in the GOP’s budget would help rush a tax cut through congress. Bloomberg Politics. Retrieved from https://www.bloomberg.com/news/articles/2017-09-29/budget-fine-print-would-help-rush-tax-cut-through-u-s-congress.